We are very excited to have these guys in our retail range at the new Kandanga Farm Store! We are stocking Vegetable Seeds and Edible Flowers. Call in store to check it out! 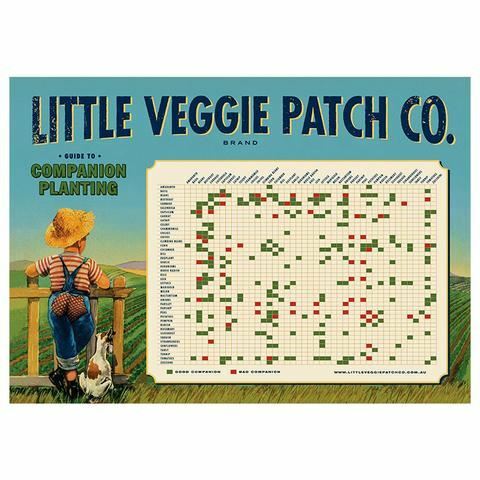 The Little Veggie Patch Co (LVPC) is a business dedicated to helping people grow food and that believes it is something that everyone can do, regardless of your skill-set or space at your disposal. So no matter whether you live in an inner city apartment or a block of land in the sprawling suburbs, LVPC will have you growing your own produce in no time. 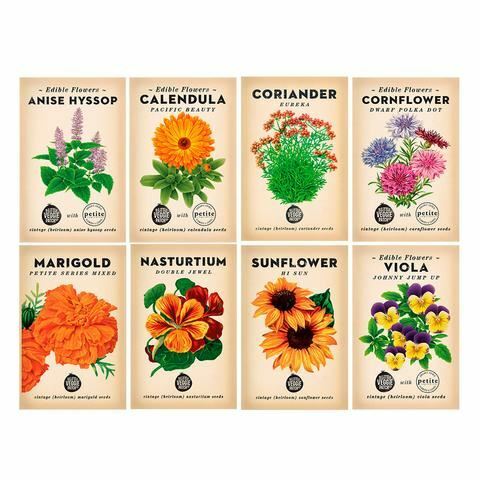 The range now has over 40 varieties and continues to grow alongside the demand for heirloom seeds. We believe that growing and saving such seeds will ensure that tomatoes continue to taste like tomatoes and we encourage you all to join us in keeping real food alive! 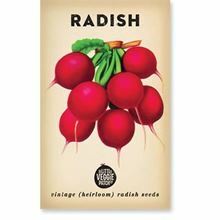 A fast maturing variety that produces crisp radish with a mild pepper flavoured crunch. Its roots are globe shaped and smooth textured. All in all, not only the perfect radish, but the perfect vegetable. 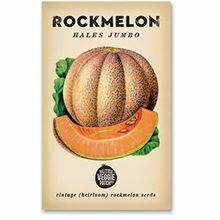 A classic rockmelon that produces large fruit with a rich aroma, orange flesh and a lovely melon taste. It is an early maturing vine that is resistant to diseases and rot. Ideal for the home gardener. An early savoy cabbage with green inner heads, wrapped by deep purple leaves. 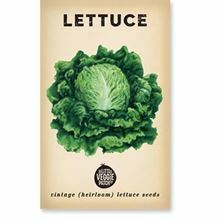 A sweet, nutrient packed vegetable, that has always been a ‘superfood’ and may well have invented the idea. Stores well. These are very smooth, slender and cylindrical carrots bred for early harvesting as babies. The flesh is virtually coreless, deep-orange, juicy, crisp and very sweet, with minimal foliage allowing for denser plantings. 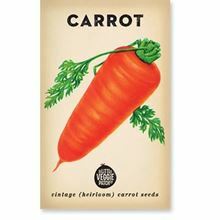 For larger sized carrots, allow to mature in ground. 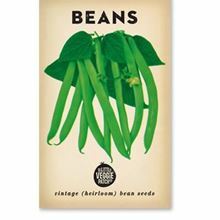 This popular bush bean has 15-20cm long green, flat pods and attractive, long, deep red seeds. Pick young pods regularly so they are stringless and to promote further flowering and production. 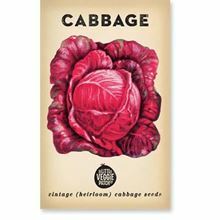 Easy to grow with a subtle mild onion flavour. 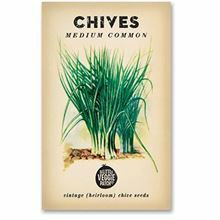 These long, thin chives are excellent in many meals and are great raw or cooked. It produces lavender coloured flower heads that are a real chef’s treasure. 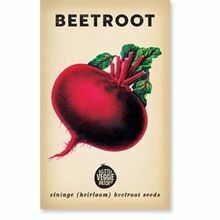 The most popular, all-purpose red beet. It is uniform and smooth, with a dark blood red flesh that is sweet and tasty, and attractive foliage that can be picked as salad greens. 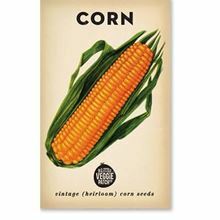 This variety was first introduced way back in the 19th century. 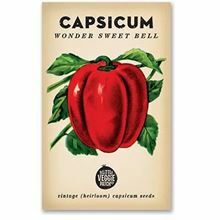 Little Veggie Patch Co Seeds - Capsicum 'Wonder Sweet Bell"
A sweet variety of corn that has juicy kernels with a high sugar content. A wind pollinated vegetable that bumps into each other dislodging pollen from the tassel on top to the silk on each developing cob. If growing in small numbers hand pollination is recommended. 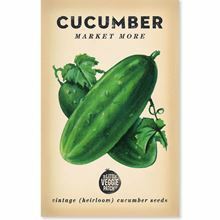 The 'Market More'is a climbing heirloom variety, prolifically producing juicy, oval-shaped cucumbers. Best planted throughout warmer seasons in free draining soil, accompanied with quality compost or potting mix (if planting in pots). Produces an absolute abundance of medium sized cherry tomatoes and is resistant to pest and disease. 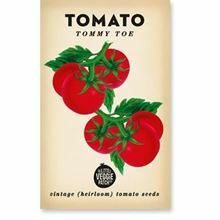 A tall, upright plant that will require staking, if there is one tomato plant you grow through the warm season, this is it. 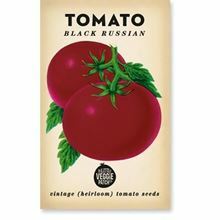 It was the tomato that inspired our business, and in particular this old heirloom variety that produces a dark skinned, almost purple coloured, sweet fleshed tomato of the absolute highest quality.